I first visited Krakow with my family over 10 years ago now so I didn’t remember too much about Krakow really only visiting the salt mines and the lovely square. 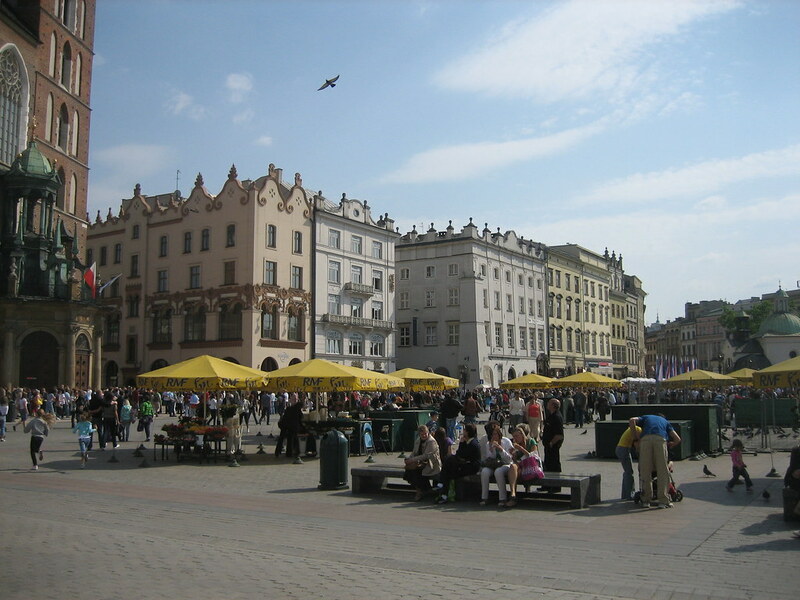 Our hotel was right on the corner of the main square costing a cracking €25 each, wandering out of the hotel you can’t help to be amazed at the huge main market square and grand architecture surrounding it – Luckily the bombs missed Krakow leaving the glorious buildings intact. Now going on a stag do to a beautiful city full of history worried me slightly, I was half expecting to see gangs of ‘Brits abroad’ causing havoc all around but was pleasantly surprised to only come across a couple in our entire weekend, all of which where behaving well. We didn’t see to much of the city, remaining in close proximity to the square but I still managed to take a way a couple of highlights from the weekend “stag” break. Beer – The beer is strong in Krakow so take it easy, I learnt this on the first night. Its also pretty cheap, around £1-2 a pint. We enjoyed an afternoon on a roof top bar looking over the river with a pint costing 8 Zloty (£1.60ish), that kinda thing would cost £6 in a lot of other cities. Architecture – Krakow is a beautiful city, as mentioned before, Krakow avoided the war and as a result the buildings remain pretty untouched. From the wide array of fantastic buildings all around to the dark cavernous bars in the basements. Weather – The weather was glorious, as a Brit, I’m very jealous of the polish climate. This is a nice little review of a great city. The beer in Poland is among the best in the world, in my opinion. I have been enjoying it for years and will continue to do so. 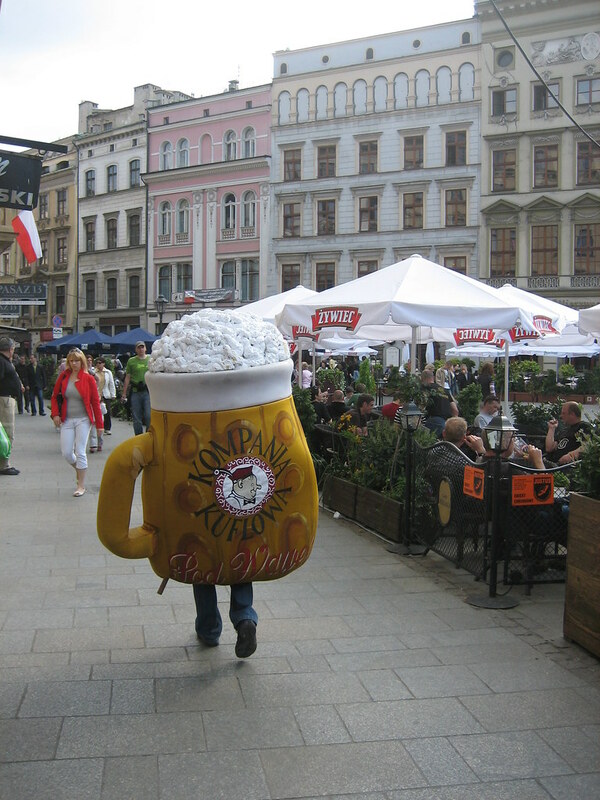 Many people don’t think the Polish like beer but that is untrue, Czech Republic and Poland have some of the highest beer consumption numbers in the world. Poland has some of the oldest breweries in Eastern Europe. I am jealous you got to go! Regards! Na Zdrowie! Thanks for this little review of Krakow! My husband and I are re-working our trip itinerary and just recently added Krakow to our plans so we can access Auschwitz from there. Nice to hear the beer is good and cheap there and the city does look amazing! What a wonderful looking city. I’ve never been to Poland but it looks a must see.